Looking for a handful of men/women who want to transform their bodies & lives in 30 days for FREE! THE GYM is looking to market the facility and use your testimonials from this program to get more clients. AND because we believe you will love our facility and community so much and you’ll end up staying. This is for 12 MOTIVATED PEOPLE ONLY. If you have gotten to that point where enough is enough, we would love to have you. I have gone through my own transformation and my life’s passion is now helping others in their journey. You will be WITH A TRAINER 3 days per week taken through the most cutting edge workouts available to help you melt fat, tone up, and see results fast. 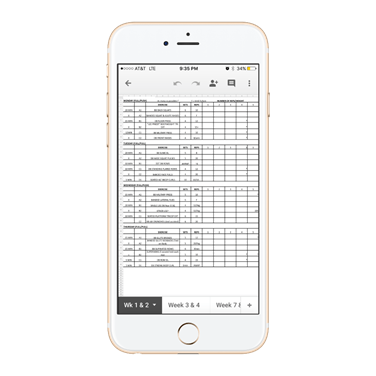 You will be able to track your own progress which will help you continue to improve, avoid plateaus and keep seeing results far past your 4 weeks. We will sit down with you and map out your exact grocery list so you know what to buy at the grocery store, and leave nothing to guesswork. Average person spends ~$45/week on groceries for 21 meals at Walmart or T&T. Our process will cut down on your time in the grocery store with most people getting in and out in under 15min. Not only will you have us when you are in the gym working out, but you will also be able to contact to your personal accountability coach whenever you need for help, tips, advice, or just someone to give you some extra encouragement. We are here to help you succeed; we will also CHECK-IN WEEKLY to congratulate you on your success and keep you on track. HOW DO I WIN IT FREE? So if it is free, why do I have to pay anything? Of course: you are putting down $400 deposit (Or 2 installment payments). You must feel like you will lose something in order to take it seriously. If I win you will really give my money back in cash? Yes we will. But why would you do this? Aren’t you going to lose money? We hope not! Most people who win the challenge take the money as a credit towards one of our other programs and become loyal customers and great marketing for us. Honestly if you lose 10 pounds and give us good before/after pictures, that is gold for us! But what if I totally chicken out and can’t do it? We are in your corner and are going to be on you every day for 30 days to make sure you CRUSH it. But if even that won’t do it, nothing probably will, and we will keep all of your money. For the rest of you still reading this, you are the people I want. Please apply: http://themarkhamgym.com/contact-form/ or email us: join@themarkhamgym.com Be sure to mention FREE 30 day fitness challenge. We are REAL TRAINERS opening our newest location in MARKHAM ONTARIO; You can find us at 8339 Kennedy Road (Unit 2800) L3R 5T5; inside the mall – Just above T&T supermarket! Afterwards, we will contact you to set up your orientation date.